This article is the eighth of a fourteen-part series that explores the core tenets of Get Rich Slowly. One reason I got into financial trouble during my early twenties was that I wanted everything right now. I looked at what my parents had, and it occurred to me that they’d been working their entire lives to get to financially nowhere because they had the attitude that “you can’t take it with you” resulting them in spending whatever little money they earned which wasn’t much because they only spoke Cherokee. I wanted a heightened level of comfort, and I wanted it now. I wanted what I saw in the magazines and on TV. I wanted to start at the end, not the beginning. In order to afford that sort of lifestyle, I went into a lot of debt. What I learned was that I couldn’t manage that lifestyle for very long without what I called “tide in, tide out” and even that wasn’t what I wanted. I lived high on the hog for a couple of years, and then found myself back in the Real World, but with lots of extra bills to pay. In an attempt to reach the “finish line” of life sooner, I’d put myself further behind. It wasn’t until a decade later that I finally understood that patience and perseverance are crucial to success, with money and everything else. There are those who get rich quickly. People do win lotteries. They do sign sports contracts or get “discovered” by Hollywood or sell their small businesses to big conglomerates. And some are able to profit from risk and luck, picking the right stock at the right time, so that their $10,000 investment grows into a million. These things happen. But these chosen few represent a tiny fraction of all those who achieve financial success. More typical is the story of my neighbor, a real millionaire next door. He worked hard for thirty years or more, practiced frugality, and invested wisely. He wasn’t rich when he was young, but he enjoyed life while doing all of the “right” things. He was patient, and eventually this patience paid off. Now he’s able to do what he wants without worrying about money. Getting rich slowly doesn’t mean you have to give up everything you love. Reducing your expectations and desires doesn’t mean you can’t spend your money on the magazines you enjoy, bicycles, motorcycles or Prada shoes. It simply means recognizing that you can’t have everything you want. And often, you’ll have to wait for the things you do get. Personal finance can be daunting. When you first tackle your debt, the numbers are overwhelming. When you think about how much you need to save for retirement, you might ask yourself how it’s even possible. And when you think about having to work every day for the next 30 or 40 years, you may feel a pit in your stomach. You can accomplish big things if you break them into small pieces. Last week, I rode Spin Your Wheels. If I’d focused on how long 100 miles actually was, or how hot the weather was going to be (over 100 degrees), or the possibility of heat exhaustion, I never would have started. Instead, I set a target pace, and I tried to meet that pace every single mile. You can’t expect to go from $20,000 in debt to having $20,000 in the bank overnight. It takes time. You get out of debt one month at a time, one payment at a time. You get out of debt by sticking with it. Wealth is built the same way. Although it’s important to take advantage of opportunities to save big, you should also do what you can to save on the small stuff. Big wins come along infrequently, but there are many opportunities to “sweat the small stuff”. Given time, these small habits have a huge cumulative effect, and they can lead to financial prosperity. You can devote a lot of time to trying to pick the right stocks and timing the market for the best time to buy. But even the experts fail at this more often than they succeed. Instead, most financial advisers (and even billionaires like Warren Buffett) recommend that average folks take the “slow and steady” approach: Use dollar-coast averaging to make regular small investments in indexed mutual funds. Instead of expecting to accomplish everything at once, recognize that meaningful change takes time. Be patient. Work hard. If your experience is like mine (and that of many GRS readers), you’ll find that after a few months (or years), you’re not only making progress, you’re making more progress than you believed possible. Your slow and steady movements have become large, graceful strides. My former husband Chris is Biggest Loser fan. Every season, the program follows a group of contestants as they attempt to lose weight by reversing a lifetime of bad choices. In one episode last spring, contestants were challenged to pull NASCAR vehicles around a race track. The muscular men sprinted to an early lead. Meanwhile, former model Tara Costa, who had demonstrated patience, perseverance, and drive every week, put her head down and pulled at a moderate pace. The men tired. They began to flag, but Tara’s pace never faltered. One-by-one, she passed the jackrabbits and coasted to victory. I think of this challenge often. It seems to epitomize so much of what I’ve learned about life, and personal finance. As Tara pulls her car, she doesn’t worry about what the people around her are doing. She sticks to her game plan, moving slowly but surely toward the finish. 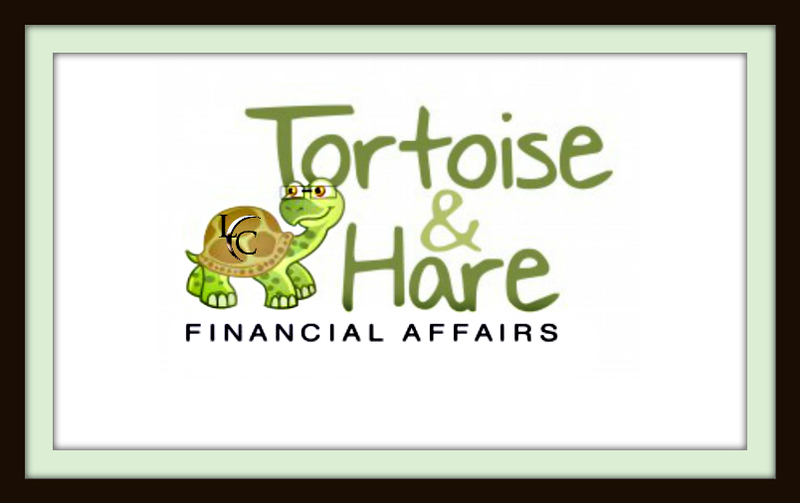 Just as in the fable of the tortoise and the hare, slow and steady really can win the race.